On April 16, at 23:05 an emergency call was received to "911" service that a car accident had occurred near “Yerevan City” supermarket in Erebuni street, Yerevan. The rescuers’ help was needed. 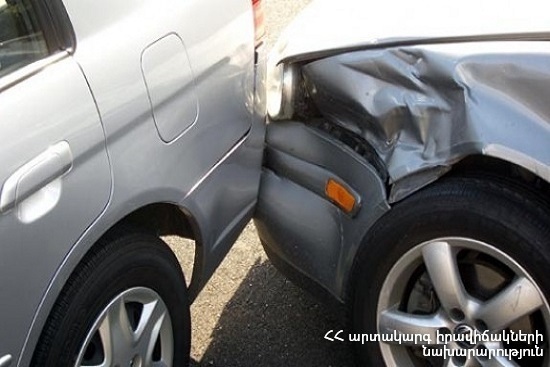 It turned out that “Opel Zafira” and “VAZ-2121” cars had collided at the crossroads of Erebuni and Atoyan streets. Before the rescuers arrived at the scene, a passenger of "Opel Zafira" car had been hospitalized to "Erebouni" medical center, where receiving proper medical aid was discharged.